Mixed Feelings Dazed Thoughts: There is an eternal love between the water drop and the leaf. When you look at them, you can see that they both shine out of happiness. There is an eternal love between the water drop and the leaf. When you look at them, you can see that they both shine out of happiness. These words echo in my mind each time I look at flowers. 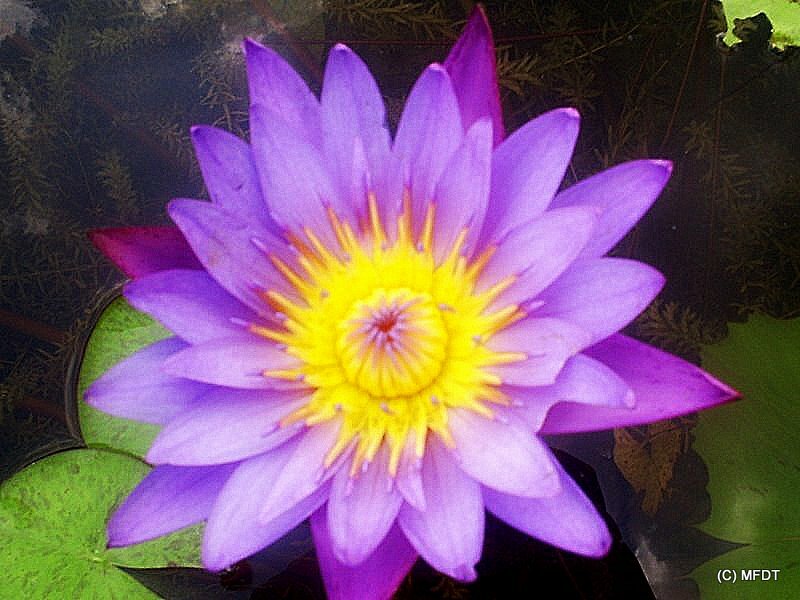 Then be it water lilies floating in village ponds or a small vessel kept at the doorstep of Indian households. There's something magical about the hues that nature has imbued the foliage with. I for one find it difficult to take my eyes off any floral arrangement, not just for their intrinsic beauty but also I because it seems to me as if God has imparted life to some delicate brushstrokes. Till date I treasure the Chinar leaves I had collected from Nishat Bagh in Srinagar back in the year 2007 and if some dear friends happen to read this post, they will be instantly able to recall the handmade greeting cards I had sent them upon my return which carried those leaves. Despite the poor quality of the pic I had taken, I have never been able to forget the golden hued leaves floating in water and small blades of grass heralding a new life. Often the people we visit in elitist echelons talk glibly about the imported orchids do they had at a family wedding and how somebody made his beloved feel special with the choicest flowers imported from some unknown corner of the world. I often lose thread of such conversations and my mind immediately wanders off to the wild flowers which grow abundantly everywhere in rains. Nature did not assign value to its creations, its only we as members of an increasingly materialistic society do.. I think flowers have a precious lesson to teach us. Even with an ephemeral lifespan if a flower could radiate so much beauty, happiness, color and life! why do we as humans waste our lives lamenting, pretending and frowning. During the tea breaks we had between the classes in our Academy in Mussoorie, whenever I found it difficult being part of any mundane conversation, I remember looking at a vessel full of water and white and orange flowers kept outside Dhruvshila. I could spend an entire life looking at those reflections in water and wondering what was so magical about those floating flowers. I remember most people who would visit us in Banda or Chitrakoot would try to sympathize for being posted in Bundelkhand (far from the civilisation!). 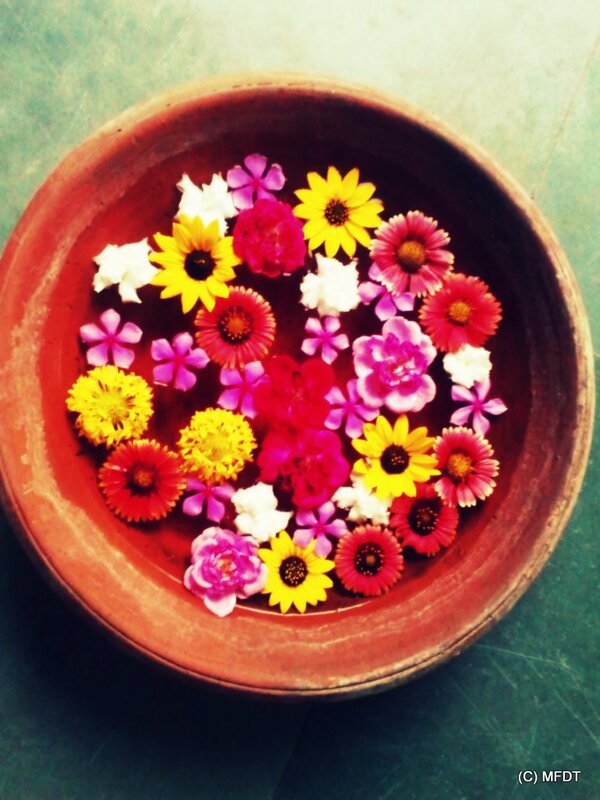 Today when I look back at the memories of the house we lived in, all I can think of is the mango blossoms and the birds and bees who came to collect nectar therefrom.. Or the rustic earthen pot at our entrance which our gardener would decorate with various hued roses and sunflowers and periwinkles..The image of that myriad hued oasis beckoning a weary-eyed traveler like us upon our arrival at the house each day is forever imprinted in my heart. As a child I thought my fascination for flowers, trees, birds and leaves is merely a phase I will eventually grow out of. However, with the progression of time and age, I only seem to be more drawn to these forms and often feel I have less and less time at hand but so much to see!! Now when I see a beautiful flower, I go back and do a search to find its name and the stories and myths associated with it. While Google image search is truly a great help, an amazing India specific website I recently discovered has made me even more observant towards the bountiful gifts of Nature around us. As one delves deeper into the subject, it throws up interesting names like Lobster Claws, Bird of Paradise, Flame of the Forest! Living close to an island of lush greenery in the middle of a bustling city, I was overjoyed to see the ethereal Safed Kachnar for the first time. I remember the Palash tree growing outside Cauvery Hostel in JNU and the Laburnums and Bougainvillea which would carpet the campus. The much-in-demand roses of Kannauj, filled our lives with fragrance and delight during our winters in the 'city of Itr' and my separate post on them would perhaps follow soon. I can not help but feel distracted in an open air party and often lose track of time and place altogether. There's so much to learn and admire and feel these little joys enriching my life. I look forward to the day life will afford me an opportunity to live in Delhi again for I will not be at peace unless I have seen the famous tree lined avenues of New Delhi at leisure and felt the change seasons bring. It is these random moments of life which define joy for me and I live each day hoping to be pleasantly surprised by discovering a new 'thing of beauty' ..
"You are wrong if you think Joy emanates only or principally from human relationships. God has placed it all around us. It is in everything and anything we might experience. We just have to have the courage to turn against our habitual lifestyle and engage in unconventional living. 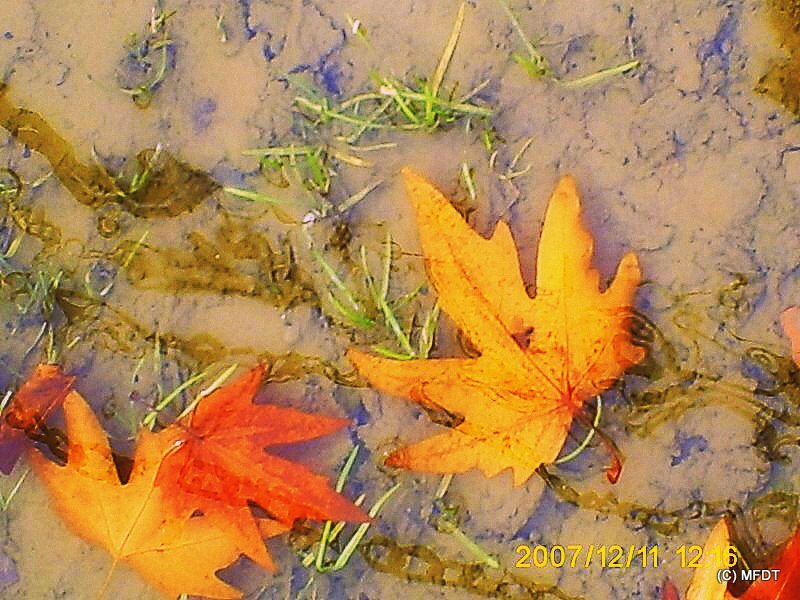 Loved the pics.. the Chinar leaves esp.